It is important to understand the purpose of bleed in order to create it properly. 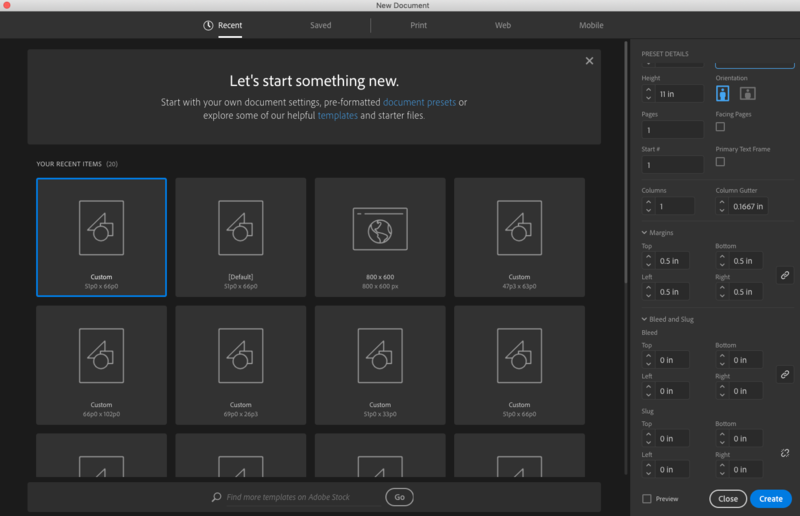 Notice the section in the lower right corner of the screenshot of the Adobe InDesign / New Document dialogue box. This is the area where we will be allowing for our bleed. The main reason for bleed allowance in a document is to account for imperfections of the processes ahead of the bindery functions ie. cutting, folding, trimming etc. If we think about the processes that take place before trimming our finished piece we will recognize several areas that can add up to movement of image placement on the printed sheet. The single biggest contributor to image movement in relation to the sheet is usually the sheet itself. As cut sheets are produced from a large roll of paper, there are often 1/16″ to 1/8″ variations in dimensions of the paper throughout the stacks of hundreds or thousands of sheets. We combat this variation at press buy using what we call a guide corner, that is the corner of the stack that is jogged as it enters/exits the press. The intent of the guide corner and jogging is to minimize the effect of the sheet size variation, but it isn’t perfect either. So, that is where bleed allowance comes into the rescue. By extending the image 1/8″ past the intended trim size of the document, we are allowing for those slight image placement variations. If the bleed extends past the intended trim line, and the cut is off its mark slightly, then the bleed covers up the miss and doesn’t leave us with a very obvious white sliver of paper white on the edge of the piece. 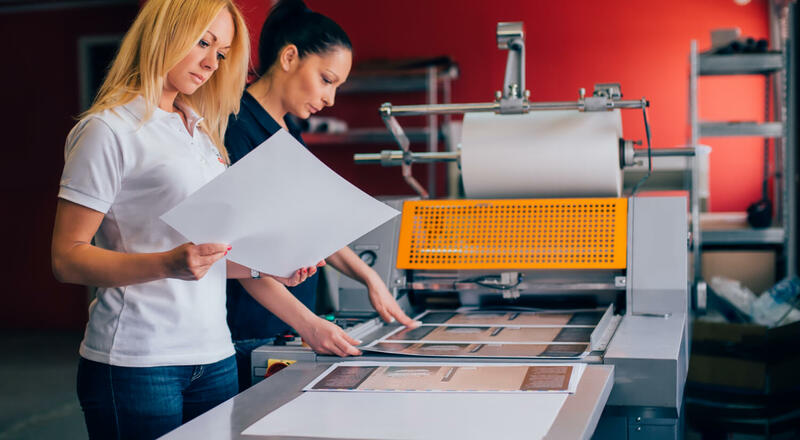 Bleed allowance can differ greatly depending on the printing/binding methods used so it’s always a good idea to check with your printer before preparing a document for a new printing process. For example, here at J-C Press, our offset and digital bleed allowance are typically 1/8″ on all sides. For our wide-format area, we typically like to see 1/4″ as the cutting method is very different from our offset printing. Bleed is an important part of a nice finished piece. Please take a moment to make sure your documents include them and save everyone a trip back to the drawing board.